As you read this page, business people are researching to find the products and services you offer. Sadly, however, you cannot reach out to them because you don’t know they exist. Neither can your competition. 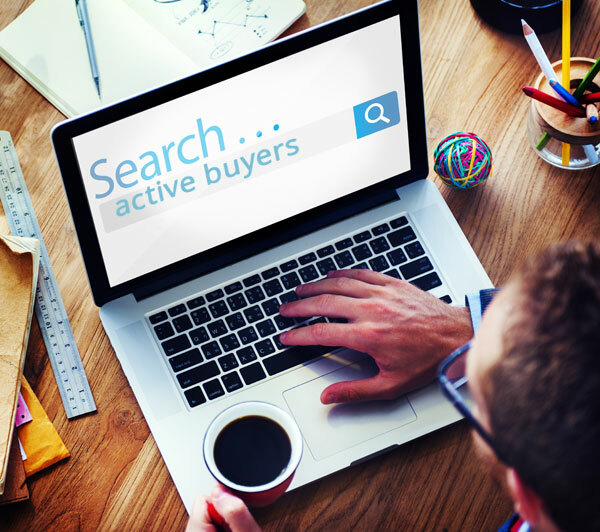 What if you could reach those active buyers before anyone else? Your current leads likely only represent the tip of the iceberg versus the entire universe of active buyers searching for your product or solution. And because first mover advantage puts you in the driver’s seat, you want to find and reel in those active buyers even before they become a lead. NuSpark Marketing’s Lead Scout program will do just that! Lead Scout starts by modeling your ideal customers, then applies predictive marketing tools to intent data to find and target similar buyers before they turn into a lead.But data and sophisticated analytics alone cannot create sales. You need a well-orchestrated marketing campaign, personalized to individuals based on their needs. It takes time and expertise. Build firmographic and demographic profiles of your match-made-in-heaven customers, so when you go fishing, you know what you want to catch. This also includes companies that look like your best customers for targeting with account-based marketing. Matching your ideal customer profile is step one. Step two is to make sure they’re interested in buying. So, we use buyer intent data, a compilation of millions of digital signals, to discover who is searching for a solution to the problem your product solves. That means tracking digital footprints on third-party publisher websites as well as your company’s site. After all, the vast majority of visitors don’t leave their calling card. We’ll use data to find buyers before your competition does! Now we’ll help you to reel in individuals who are in the market and warm them up to your company. We’ll design, distribute and laser-target online ads to people in the buying process who fit your ideal company profile. This is accomplished via robust IP address and cookie targeting via our DSP programmatic display ad platform, based on the 3rd party intent data we compile. The ads will include offers that lure them landing pages designed to capture leads. After we layer the buyer intent data on top of your ideal customer profile, you’ll receive a comprehensive prospect list chock full of all the information you need, target account insights, buyer names, titles and email addresses, for follow-up, and exported into your marketing automation platform. We’ll score the leads, and when they’re hot, our reps will call them to schedule sales appointments.You don’t have to do anything. Lead Scout takes your predictive marketing all the way from unknown individuals in the buying process to locked-down sales appointments. You’ll shorten your sales cycle and boost your deal win-rate.